The Coal industry began to decline in the 1920's , with the last Coal Pit closing in 1940. The Harbour now provides moorings for pleasure craft and the fishing boats. 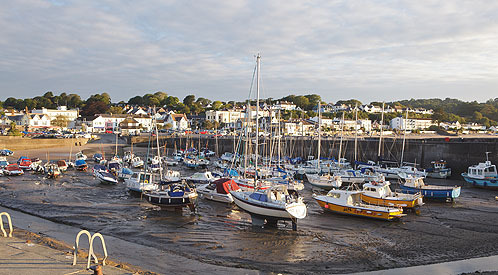 A long sandy beach stretches to either side of Saundersfoot Harbour, which on a low tide can be explored for miles.